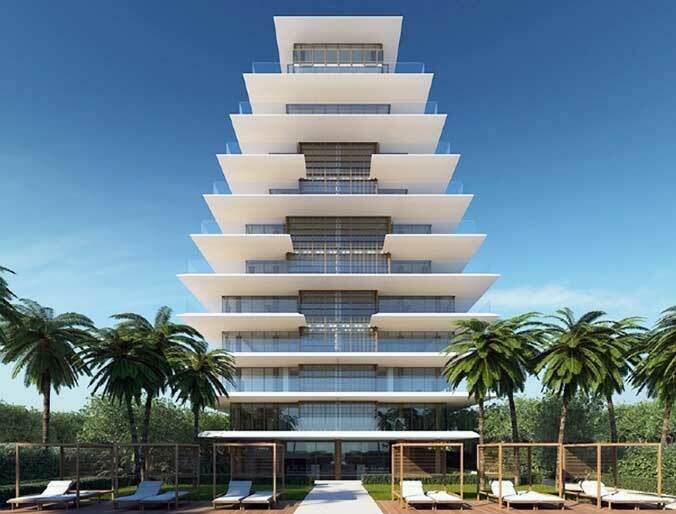 The building, from Antonio Citterio, is going to he a 12-story oceanfront tower, is the first of his projects that will be done in the United States. This is one of three new buildings that is coming to the area with the others being Surf Club Four Seasons Residences and hotel and Fendi Chateau Residences. Because of the building limits in Surfside, none of the buildings are able to be more than 12 stories, which works out very well. It tends to provide smaller buildings that have a different atmosphere than you might experience in one of the massive complexes that has 20 or more stories. This means that there are fewer residents per building in the Surfside Projects. At Arte, you will find only 16 residences, which can provide you with a nice and quiet place to live. It also means that the residences are going to be quite large. In fact, the beginning size is going to be around 5,500 square feet, and they go up in size from there. The majority of the units at the building are going to be full floor units, although there will be several half-floor plans available to buy, as well. In addition to the interior living spaces, there are also going to be balconies. Each of the units also features a garage that will be large enough for three cars. The garages are enclosed and air conditioned. Of course, you may be wondering about the building itself and whether a smaller building like this can still offer good amenities. You will be happy to know that there are some wonderful features at Arte including a spa, as well as indoor and outdoor pools. They also have a fitness center, where you can stay in shape and get ready for the beach. Even more exciting is the fact that they are going to be putting up another amenity building for residents right across the street. This building is going to have an additional garage, along with a club room, tennis courts on the roof, a cigar room, and a 24-hr valet. With all of the features and amenities that are available, it allows the residents to live in true luxury resort style. Although this building is still in the early phases, many people are very excited about everything that it can offer. Sales of the units are likely to be brisk, so those who are interested will want to get in touch soon to make sure they can buy the property they want.